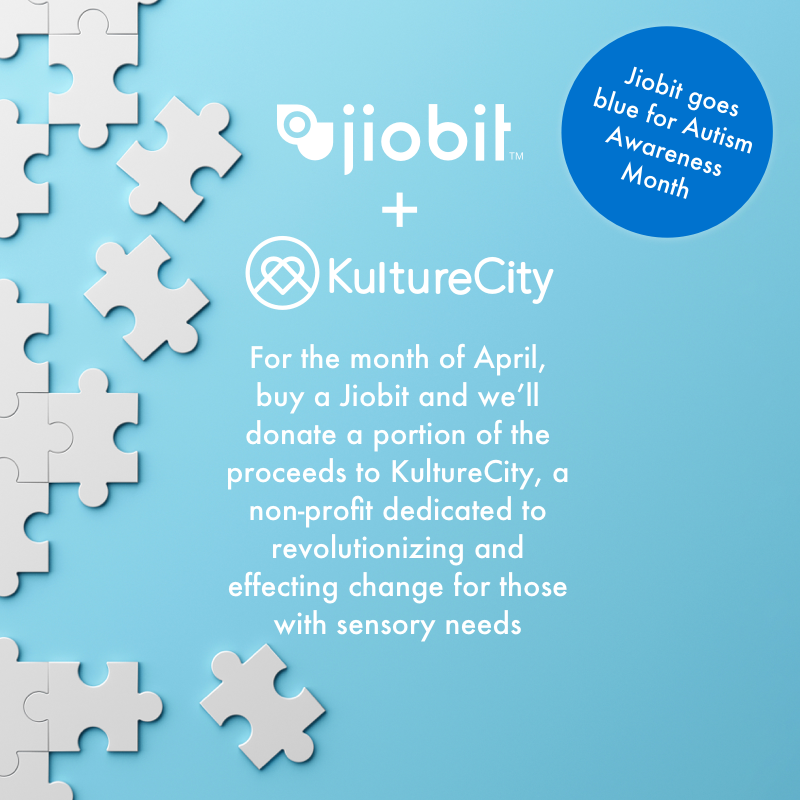 April 1, 2019 (Chicago, IL) - Jiobit, a Chicago-based provider of wireless location-based technologies, proudly announces a partnership with KultureCity, an organization focused on providing acceptance and inclusion for individuals with autism and other sensory needs. In observance of Autism Awareness Month, Jiobit will donate a portion of all April sales to support KultureCity. This April marks the twelfth annual World Autism Awareness Month. Currently, 1 in every 59 children receive a diagnosis of autism spectrum disorder (ASD) by age 8. * With the increase of prevalence and continued lack of acceptance, Jiobit pledges to ‘go blue’ this April through donations to KultureCity in order to increase global understanding and acceptance of people with autism. Jiobit’s first product, the smallest and longest lasting real-time location tracker for kids, was inspired after Founder and CEO, John Renaldi lost track of his then 6-year-old wandering son at Maggie Daley Park in Chicago. Jiobit started shipping in 2017 and it is now being used by thousands of families across all 50 states. Kulture City began as a movement throughout the United States when parents of children with autism began to fight against the exclusion and segregation of their children. KultureCity is a catalyst for change in our society and industry by providing simple solutions that create acceptance and inclusion of individuals with autism. KultureCity’s four main pillars are: sensory inclusive initiative, lifeBOKs program, Tablet:Kulture, and Toys AUcross America. These programs bring new hope into the lives of families and now, Jiobit will provide an added layer of safety and security to families. Join Jiobit by pledging your support for a more inclusive world for people with autism. Purchase all of this great technology packed into a tiny, lightweight, and durable form factor with incredible battery life here. For more information on Jiobit, please visit https://www.jiobit.com/. Jiobit is the first of its kind patented location tracking platform, enabling the longest lasting and smallest real-time location products with best-in-class security. 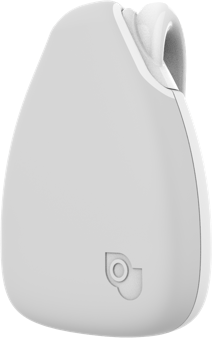 Jiobit is waterproof, durable, discreet, and provides accurate real-time tracking at any distance. Featuring a host of encryption and security technologies, Jiobit is trusted by federal government customers, law enforcement professionals, and thousands of families with usage in every populated continent in the world. KultureCity is a leading non-profit recognized nationwide for using their resources to revolutionize and effect change in the community for those with sensory needs; not just those with Autism. Since the program’s inception, KultureCity has created over 200 sensory inclusive venues in 3 countries; this includes special events such as: NFL Pro-Bowl, NFL Super Bowl, MLB All Star Weekend. KultureCity has won many awards for its efforts: NASCAR Betty Jane France Humanitarian Award in 2017, Cleveland Cavaliers’ Quiet Space Sensory Room at Quicken Loans Arena was a finalist for the 2018 Stadium Business Award, and the 2018 Clio Sports Silver for social good in partnership with Cleveland Cavaliers/Quicken Loans Arena. Recently, KultureCity was awarded one of the World’s Most Innovative Companies for 2019 by FastCompany.